As a phrase to describe Birgit one could say -- she is a serious free spirit. A very thoughtful person she reads poetry (the cuvee Anna Blume, for one of her white wines, is also the title of her favorite poem), but as one can see from her website –www.wiederstein.at—this is not a typical website (I can’t say that any other vigneron or vigneronne I know of has quoted their shoe size on their website—however this could be important because for some of her red wines she does the pigeage herself). Birgit’s vines (and 280 year-old cellar) are in Göttlesbrunn the center of the Carnuntum wine region. 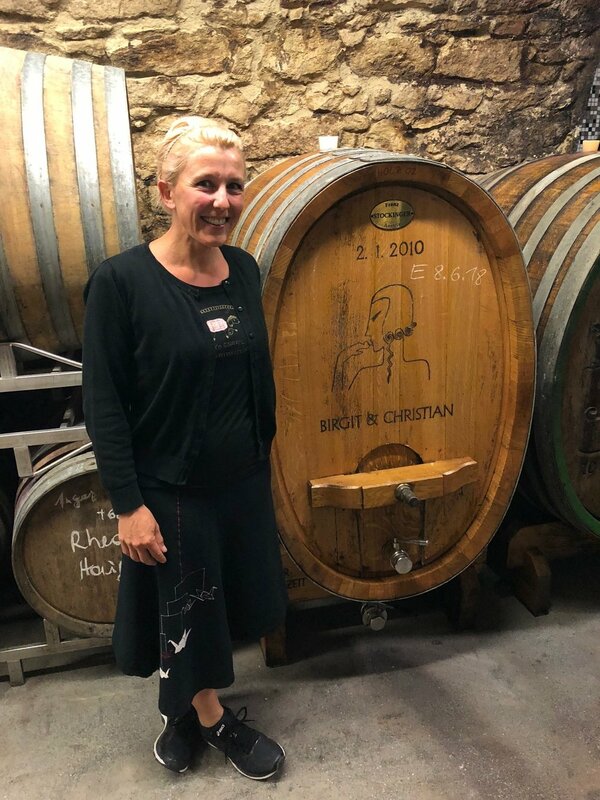 This appellation, taken from the eponymous Roman city that was located only a few kilometres from present day Göttlesbrunn, is rapidly becoming discovered as a very fine terroir in its own right, being only a few kilometres from Leithaberg and the more famous region of Neusiedlersee. The soil here is predominantly limestone/clay, not dissimilar to Burgundy from a geological standpoint. Birgit’s Anna Blume is 100% Harslevelu, an ancient Austro-Hungarian variety, which she has planted (over-grafted) on a .5 ha. parcel. Birgit is very committed to reviving these older varieties. The Ein Traum is ½ Blaufrankisch, ½ Merlot, and is foot-pigeaged with those size “41” feet, and aged in part older 500l. barrel, and part older barrique.